Featured image: Lionel Messi is very popular in Palestine, particularly in the Gaza Strip. It was a red card for Israel. “It (the Argentinian Football Association) concluded that this match is a political one,” Palestinian Football Association President Jibril Rajoub spoke on Wednesday. A “friendly” football match between Argentina and Israel was scheduled to take place in Jerusalem next weekend. However, Argentina cancelled the match, followed by the rejoicing of Palestinians and Muslims around the globe. For the Palestinians, they believe that the match is a politically-motivated one. The Palestinians have been expressing their protests concerning the recent transfer of the US Embassy from Tel Aviv to Jerusalem by the US President Donald Trump. The move was an attempt to promote the acknowledgement of Jerusalem, which previously was the land of Palestine, as the capital of Israel. Previously, Rajoub had urged Lionel Messi and his team to not take part in the match. He also called for the fans to burn jersey bearing Messi’s name as a protest if they still proceeded with it. An intense global campaign of the same purpose has also kicked off from Argentina and spread to Latin America and the Spanish states. Despite the allegation made by Rotem Kamer of the Israel Football Association that the players and their families are being threatened, Argentine Foreign Minister Jorge Faurie believed his country’s players have been reluctant to travel to Israel for the match. Even the Argentina coach Jorge Sampaoli expressed his reservations last week about having his players travel to Israel. “From a sporting point of view, I would have preferred to play in Barcelona,” he said. “The stuff that happens in those places, where they kill so many people. As a human being, you can not accept that in any way,” Argentine Football Association vice president Hugo Moyano was quoted say. Argentine President Mauricio Macri said he was unable to intervene, although he was called by Israeli Prime Minister Benjamin Netanyahu to save the game. “The ball will not be stained with Palestinian blood,” Argentine lawmaker Gabriel Solano also welcomed the decision. The protesters in Barcelona took it upon themselves to send their objections loud and clear using a megaphone during their national team’s football practice. This incident marks as one of the biggest successes yet for the Boycott, Divestment and Sanctions Movement that seeks to isolate Israel for their cruelty towards Palestinians. One of the campaigners was Palestinian footballer Muhammad Khalil Obeid. He was a player for Al-Salah FC, one of the football clubs in the Gaza Strip before he was shot in the knee by an Israeli sniper thus ending his career. 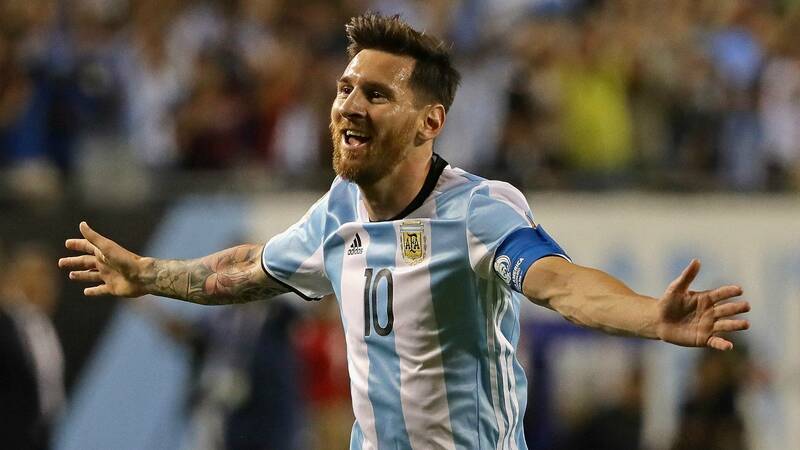 Stating that Messi is very popular in Palestine, particularly in the Gaza Strip, Obeid recorded a video showing him appealing directly to the team captain of Argentina. Obeid would require a knee replacement surgery for him to to be able to walk again. Obeid is one of the Palestinian footballers attacked by Israeli forces. They were frequently arrested by the Israel authorities that it became so common and were no longer making the news headlines. Included as well is national player Sameh Maraabah. Maraabah, a rising star in Palestinian football that led his team to second place in the West Bank league last year, was arrested and jailed by Israeli authorities when he tried to cross the border from Jordan to the West Bank. He was on his way back from football training camp with his Palestinian teammates. Other former-West Bank’s football players are Palestinians Jawhar Nasser Jawhar, 19, and Adam Abd al-Raouf Halabiya, 17. Both were on their way home from a football training session when Israeli forces fired upon them repeatedly, beat them and allowed the checkpoint dogs to maul them. Another tragic mention is the missile striking of Ahed Zaqout at his house in 2014. Zaqout, who coached in Gaza, was the first captain of Palestine’s national team. Other aspiring Palestinian footballers were teenagers Mohammed Qatari and Udai Jaber but they lost the opportunity to play for Ramallah-based football club when both were shot dead in the same year during clashes with Israeli troops. Muhammad Qweis, Sami al-Daur, Fadi a-Sahrif, and Mahmoud Sarsakn were other Palestinian footballers who received the same tragic fate as Maraabah of being unjustly imprisoned. The list of what Israel has done to Palestinian football does not end there. In 2012, Israel bombed and destroyed the Palestine Stadium in Gaza, as well as the office of the Palestinian Paralympic Committee. Worsening the situation is the Israeli restrictions on movements in and out of the West Bank and the Gaza Strip. This results in the Palestinian footballers having to face difficulties and struggles in answering a call-up for a match. Obtaining visas to enter and leave the territories proved to be troublesome and such request is often denied. The Palestinians right to play sports safely may have been unjustly impeded by the Israelis but this recent honourable move by Argentina offers hope and support to Palestinians in their perseverance to claim what they deserve. With one humane gesture, Argentina now has the support of the rest of the world who are also against the violent occupation, cheering for them in this year’s World Cup.